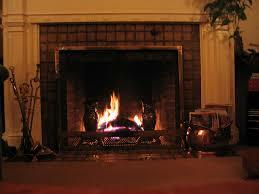 Whatâ€™s more comforting than sitting in front of a roaring fire on a cold winterâ€™s night? Fireplaces can instantly change the mood of a room, making it more cozy and romantic , and as a bonus may also give an extra source of heat. There are lots of choices to provide the glowing warmth of a fire, some that donâ€™t require a chimney or flu. Now that Iâ€™ve â€œsparkedâ€ your interest, letâ€™s take a look at the broad category of indoor fireplaces. Traditional Open Hearth Typically made of stone or brick, these types of fireplaces have existed for centuries. You can feel the heat, smell the wood burning and hear it crackling. They are not as effective at heating the room as some of the more modern varieties. Also, if you donâ€™t already have a fireplace, it will require a fair amount of construction to put in the opening and chimney for proper venting. Enclosed Fireplaces These indoor fireplaces feature a large glass panel to view the fire as it burns. 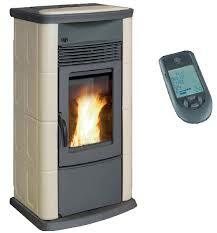 You have less heat escaping up the chimney and more entering the room. 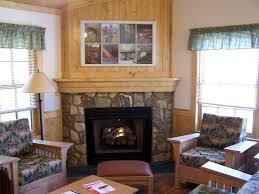 Enclosed fireplaces provide more warmth while still having the ambience of a wood burning fire. Fireplace Inserts These are inserts that fit into your existing fireplace opening. They are enclosed, enabling you to easily turn an inefficient open hearth heating system in to one that is more fuel efficient. Wood Burning Stoves Although not technically a fireplace, wood burning stoves are an alternative to burn wood for heating without needing a fireplace. It will, however, require a pipe to vent the smoke through the chimney to the outside. You will also need to install a noncombustible floor pad and wall surrounds. These stoves are generally small, and the bags of pellets are inexpensive and come in quantities that are about the size of a mulch bag, making them easy to store. They're also easy to operate; they onÂ­ly require loading pellets and igniting the flame. Because the fire is contained in a heat box there is a minimum of smoke, which lessens the smell in your home and prevents the outside of the unit from heating up. Wood pellets are made from recycled materials and are heavily compressed, which reduces the moisture content. 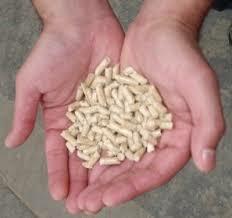 Dry fuel creates more heat, causing the pellets to burn hotter and cleaner than their wood counterparts. A word of caution - these stoves run on electricity, so if your power goes out, so does your stove. Direct-Vented Built-in Fireplaces This gas fireplace can be vented through an existing or newly construction chimney or you can alternatively use a pipe to eliminate more costly changes in the houseâ€™s structure. 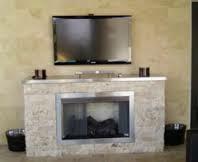 Ventless Built-in Fireplaces Ventless built-in indoor fireplaces are the simplest to install as there is no need for a chimney or vent. However, though every effort is made to make it clean burning, it is possible that some contaminates from the gas will enter your home without a vented system. Fireplace Conversion If you have an existing fireplace, you can get an ethanol burning insert that will slide right in. Depending on your preference, there are options for a more traditional or modern appearance. Wall mounted Fireplaces With this style, you can actually hang your fireplace on any wall that you choose, making it double as a heating source or a centerpiece of a room. 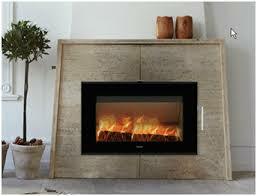 Electric fireplaces are the most cost effective option on the market. They are easy to install and require no ventilation. Another added benefit - most allow you to turn the heating function on or off while maintaining the ambiance of a fireplace. Available in a traditional mantel surround or built within a media cabinet, they can be operated by remote control and some have different varieties of fire effects. Doesnâ€™t it sound nice to grab a glass of wine, curl up with a blanket and sit by the fire? With all the options out there, itâ€™s possible for everyone to enjoy!